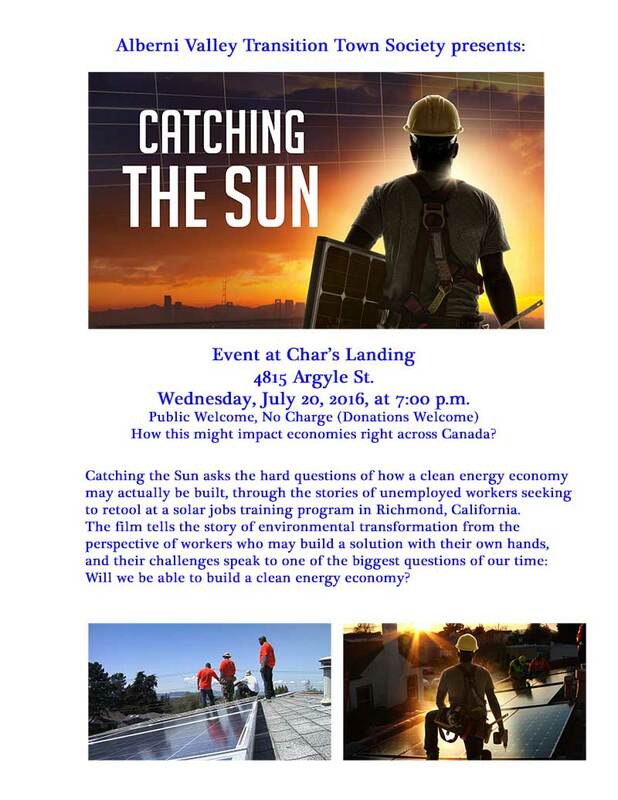 Wednesday, July 20 will be the next AVTTS meeting starting at Char’s Landing at 6:00 p.m., followed by a screening of the film Catching the Sun, detailing the possibilities of a future with alternate forms of energy. This is fast becoming a reality with moves afoot both here and in other localities close by to install significant solar energy generation resources. Come be part of the discussion and learn how you can get involved.